Asus has introduced a whole new lot of tablets with its Fonepad series and latest addition in this series is ASUS Fonepad 7 FE170CG. Its came out as an attempt to create something powerful enough to run some of the advanced applications along with keeping it affordable and simple. Asus successfully captured audience with Dual-SIM functionality and voice calling features. This powerful tablet is powered with Dual-core processor which can clock up to 1.2 GHz processing speed. It is also equipped with 1GB RAM and * GB storage capacity to empower you to store all your favorite music and videos in it. It has high resolution 2 MP, 1600 x 1200 pixels, autofocus camera to which enables you to take astounding pictures. 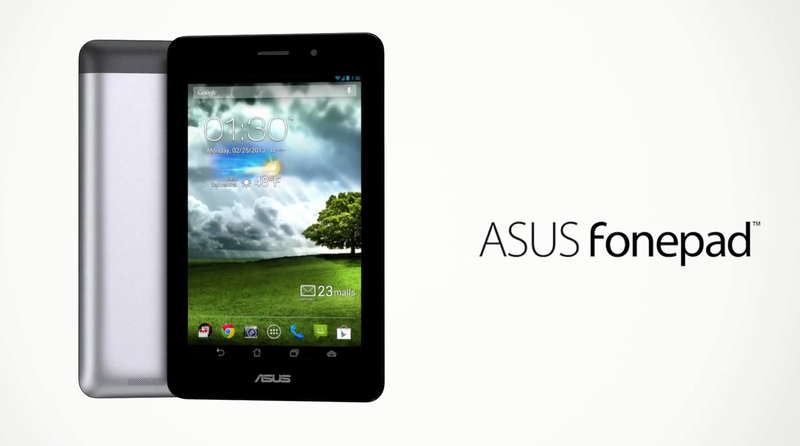 ASUS Fonepad 7 is rightly called the most affordable and capable tablet PC.